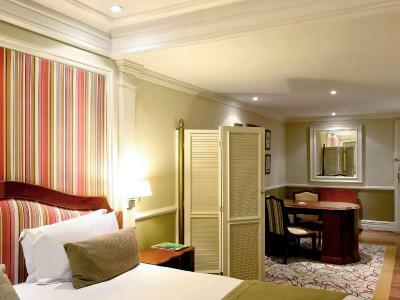 Lock in a great price for Grand Mercure SP Ibirapuera – rated 8.8 by recent guests! Ok to stay for a night or two. About same level as other Mercure chain hotels. The room was spacious and comfortable. The breakfast is exceptional and the staff is very friendly. 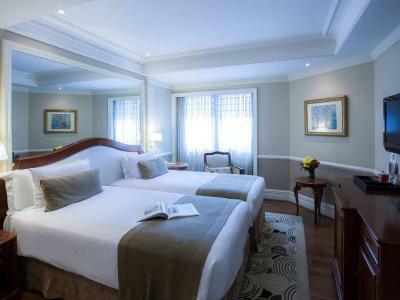 Good hotel if you need to stay close to Ibirapuera Park area, very spacious and nice rooms. Great value for money. The staff were very friendly and good quality of amenities in the bathroom. All was vey good. Clean, new, well set up and organized. Nice breakfast and bar as well as restaurant. Excellent in-house restaurant, cleanness, boulangerie, imposing facilities, efficient staff. Good price - benefit relation. Very comfortable room and nice amenities. Staff very accommodating. Gave me late check out till 2pm for no extra cost. Very helpful staff. Maybe undermanned at check out time (only two staff - queues but not staff's fault slow, selfish customers with over-estimation of their own importance = problem!) Great breakfast! 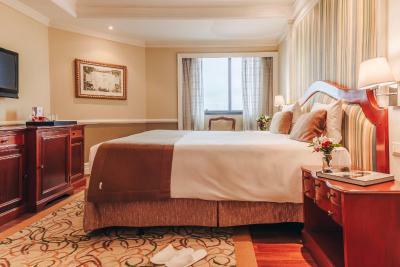 Grand Mercure SP Ibirapuera This rating is a reflection of how the property compares to the industry standard when it comes to price, facilities and services available. It's based on a self-evaluation by the property. Use this rating to help choose your stay! 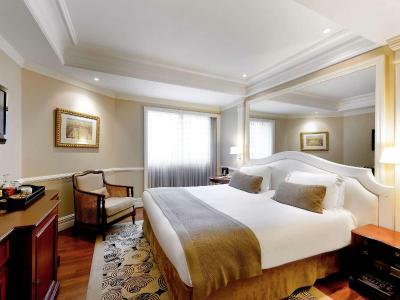 One of our top picks in São Paulo.This luxurious hotel in São Paulo is 0.6 mi from Ibirapuera Park and 1.9 mi from Congonhas São Paulo Airport. AACD Subway Station is a 5-minute walk from Grand Mercure SP Ibirapuera. 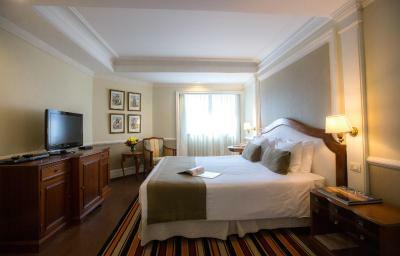 The cozy rooms at the Grand Mercure SP Ibirapuera have cable TV, air conditioning and a tea/coffee maker. 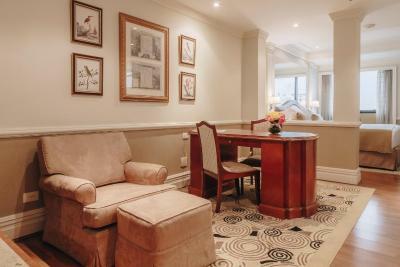 Some rooms have a spacious seating area. 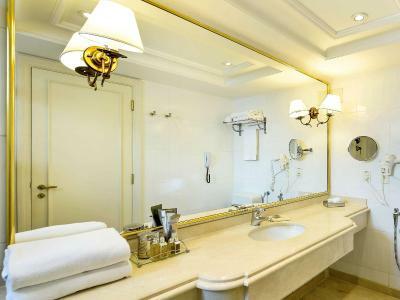 Grand Mercure SP Ibirapuera features several dining options, where guests can enjoy French specialties. The hotel also has a wine bar which serves a wide range of international wines. Guests can sunbathe and enjoy drinks at the hotel’s swimming pool, which is surrounded by sun loungers. The hotel also features a tennis court, a modern gym, a spa, a swimming pool. The property is a 20-minute car ride from Expo SP Imigrantes. Vila Clementino is a great choice for travelers interested in parks, fine dining and business. 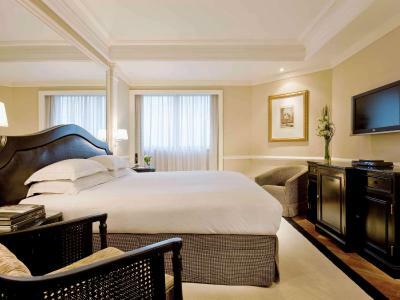 When would you like to stay at Grand Mercure SP Ibirapuera? 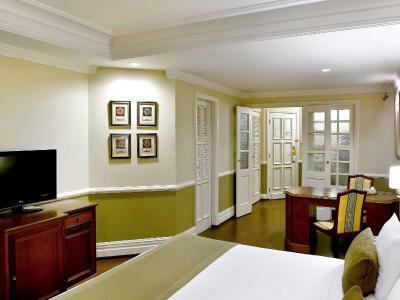 With a modern décor, this room features a 32" LCD TV with a DVD player, as well as a king-size bed, work desk, digital safe and a private bathroom with a shower. This room is located on a high floor and features panoramic Sao Paulo City views. With a classic décor, it features a work desk, digital safe and a private bathroom with a shower. This room is located on a high floor and features panoramic Sao Paulo City views. 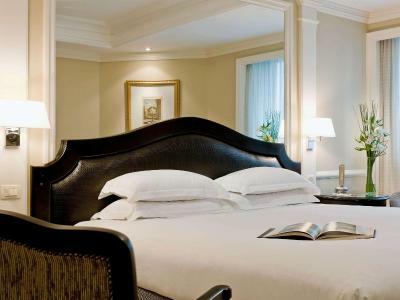 With a classic décor, it features a king-size bed, work desk, digital safe and a private bathroom with a shower. 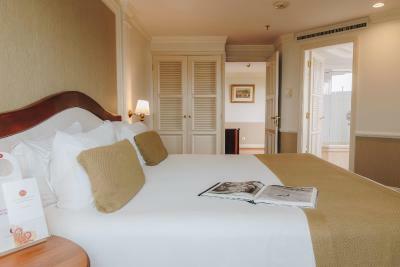 This air-conditioned suite has a DVD player, seating area and views to Ibirapuera Park. Hotel surroundings – This neighborhood is a great choice for travelers interested in parks, fine dining and business – Check location Great location - show map Guests loved walking around the neighborhood! House Rules Grand Mercure SP Ibirapuera takes special requests – add in the next step! Grand Mercure SP Ibirapuera accepts these cards and reserves the right to temporarily hold an amount prior to arrival. Please note that the hotel's voltage is 220W. shower very poor, Air Con impossible to manage. air drops on the bed......not good! Fur bed sheets, no personnel to change it at 10 pm. Ordered baby crib, nobody came in 2hrs until I asked at the reception again. The bedroom had a smell of wet timber and a bit of a dated decor. Old, bad location, disappointing pool. Room service took 2,5 hours before at the room. The breakfast was not included in the amount paid. Nothing that I can think of, except that you can't walk around the surrounding area and must have a car. The location is not so good, you should have the car, or else it is diffcult to go to the center. It is very good, all are excellent. Should Include a robe in the room to use it in the spa. The pool was under repair. A pool is one of the search criteria I use when looking for a hotel, so this was a disappointment.